Italy put in a dominant performance as they beat the defending champions Spain 2-0 in Paris on Monday and set up a quarter-final tie against Germany at Euro 2016. Antonio Conte's side took the lead in the 33rd minute through defender Giorgio Chiellini and they could have had more but for three superb saves from David de Gea. De Gea continued to deny Italy in the second half with the Manchester United goalkeeper stopping Eder and substitute Lorenzo Insigne. Spain had a golden chance to equalise right at the death through Gerard Pique but Gianluigi Buffon was alert to the danger, making a brilliant save before Graziano Pelle's strike sealed victory in injury-time. For Spain, who lost a knockout game at a major tournament for the first time since 2006, the result ends an era of dominance at the European Championships following their victories at the tournament in 2008 and 2012 - and comes just two years after they crashed out at the group stage in Brazil. Vicente del Bosque named an unchanged side for the fourth consecutive game at Euro 2016, while Italy made seven changes from the side that suffered at 1-0 defeat to Republic of Ireland in their final group game. Pelle was restored in attack alongside Eder by Conte and it was the Southampton man who went close to breaking the deadlock in the eighth minute, his powerful header kept out by the diving De Gea. Italy were dominant in the opening stages and Spain needed De Gea at his best to push Emanuele Giaccherini's spectacular overhead onto the post, although the referee subsequently penalised the Italian for a high boot. Spain were struggling to get into the game, however they had a rare chance in the 20th minute when Nolito picked out Cesc Fabregas on the edge of the penalty area, only for his low drive to be blocked by Chiellini. 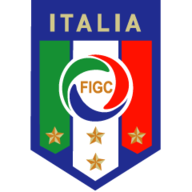 Italy that stayed in control as Mattia De Sciglio's picked out Marco Parolo, but the midfielder could not direct his header on target. De Sciglia was causing plenty of problems for Spain on the right and Sergio Ramos nearly sliced an attempted clearance into his own net following the AC Milan star's 26th minute cross. They were not to be denied for long though despite another De Gea save. He kept out Eder's powerfully struck free-kick before an outstretched boot stopped Giaccherini reaching the rebound. But he could not stop Juventus defender Chiellini, who fired home from close range to give his side a deserved lead. It could have been even worse for Spain had De Gea not come to the the rescue again as he plucked an Alessandro Florenzi cross out of the air before brilliantly denying Giaccherini on the stroke of half-time. Spain gradually worked their way into the game after the break and Alvaro Morata missed a superb chance in front of goal, picking out Buffon with his header from close range. It was a rare opportunity though for Del Bosque's side as Italy continued to come close to a second on the counter-attack. Eder was again denied by De Gea in the 56th minute after the Sampdoria striker was put in on goal by Pelle's flick. 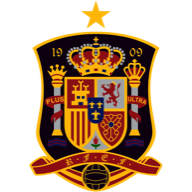 Spain pushed hard for an equaliser as the game wore on with substitute Aritz Aduriz shooting wide after a fine dummy by Andres Iniesta, then Fabregas playing through Lucas Vazquez only to find the substitute marginally offside. And Italy were helped out by their own world-class goalkeeper as Buffon kept out strikes from distance from Iniesta and then Pique. Get a £10 free bet! But the best of the lot was his smart block to keep out from the Barcelona defender as the game approached injury time. That allowed Pelle to round-off another impressive Italy performance with an quality finish to send his country through to the last eight.